A Toronto company has put its offer for reviving the Guild Inn on the table. Now, it’s for the city to decide if it wants Dynamic Hospitality and Entertainment Group as a partner or not. The city, after closing the former Inn in 2001, tried and failed twice before to attract a private partner capable of restoring or replacing the historic building, once the centre of an artist colony and centrepiece of the 88-acre Guild Park. This time, Dynamic was the only company that pre-qualified to submit a proposal to design, build, finance and operate a restaurant and perhaps also a banquet facility where the Inn now stands. The deadline, extended a few additional weeks last month, was noon Monday, May 31. Members of the city’s Government Management Committee had planned to discuss Dynamic’s bid at their June 17 meeting, in hopes of signing an agreement by Aug. 27. 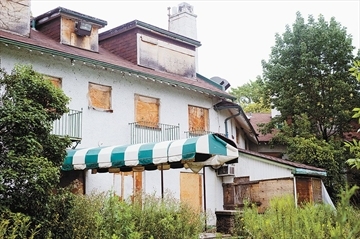 The park property, which gave the Guildwood subdivision its name, was sold to the Toronto and Region Conservation Authority in 1978, and the city assumed responsibility for managing the land and buildings in 1993. Dynamic operates restaurants, nightclubs and comedy clubs and an event theatre in Vaughan, Oakville and Toronto.